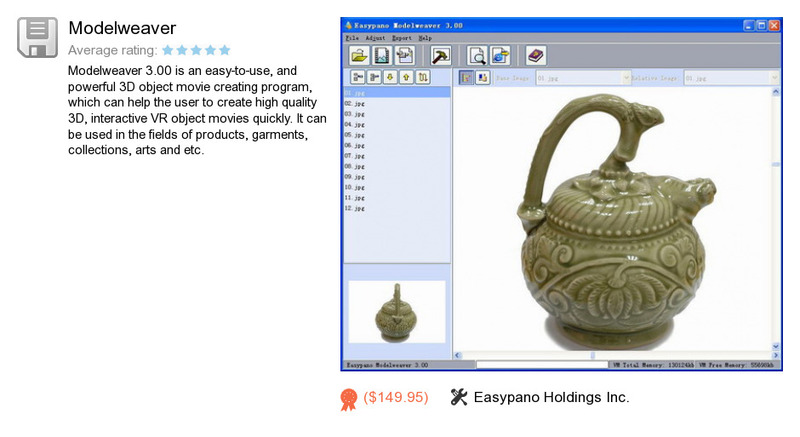 Modelweaver is a program developed by Easypano Holdings Inc.. We know of versions 3.0, 1.3. Version 3.0 is downloadable at our site. Modelweaver installation file has a size of 45,603,245 bytes. Easypano Holdings Inc. also publishes Tourweaver Standard Edition and Panoweaver Professional Edition.